At Greater Good Realty, we care about what happens in our community and would like to keep you updated with special events! Here are some special events happening in San Diego for the Month of May! Following a whole, healthful food lifestyle doesn’t mean you have to miss out on the joys of baking! Join esteemed Hotel del Coronado Pastry Chef Daphne Higa in the 1500 OCEAN kitchen on Sunday, May 1, for an afternoon of healthy baking. Perfect for Mother’s Day, this class is open to children when accompanied by an adult. Chef Daphne will share recipes using nut flours, whole food sweeteners, good fats and teach you how to make amazingly delicious desserts even the toughest critics won’t know you baked with nutritious ingredients. Registration includes: recipes, tastings, beverages, spatula and a stylish Hotel del Coronado apron to take home. Space is limited. The Julian Wildflower Show has been an historical event for more than 90 years. Because of Julian’s mountain valley location, bordering a national forest and close to the Anza-Borrego State Park, we have 855 species of plants within 25 miles of town, many of which were used by Native Americans. The Wildflower Show is meant to educate club members, local residents, out-of-town visitors and children about the botanical wealth of Julian and its vicinity. Fanny & The Atta Boys are an up-and-coming band based in San Diego, California. Their sound is a blend of American roots, country swing, and depression-era jazz, with some classic blues styling thrown in for good measure. Their sets are generally lighthearted, funny, and peppy, but expect a few soul-stirring songs as well. At any rate, Fanny & the Atta Boys’ energy, soul, and sense of humor make every show a good time! Doors open one hour prior to show time, and shows fill up fast, so early arrival is strongly recommended. 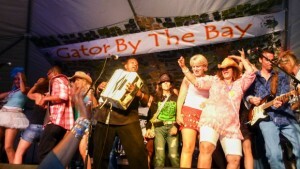 Gator by the Bay – Zydeco, Blues & Crawfish Festival returns to San Diego for its 15th year! Join us for the largest, authentic Louisiana-themed festival this side of the bayous, featuring four days of live music on six stages, dancing, parading, shopping, playing and eating over 10,000 pounds of mouthwatering crawfish straight from Louisiana! Enjoy a zesty gumbo of music, food and joie de vivre with 85+ entertaining performances and culinary delights, presented by San Diego’s Bon Temps Social Club. 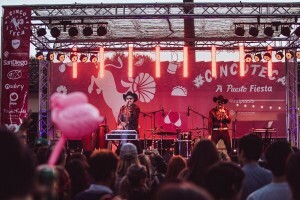 A Puesto Fiesta: Cincoteca Dos at Puesto at The Headquarters in downtown San Diego featuring live music from TJ’s Nortec Collective along with special guests Javiera Mena and Gepe. Free show starts at 3:30 PM. Margarita and beer specials from Casa Noble Tequila and Modelo Especial. Party the day away with a taco in your hand! Gator By The Bay is thrilled to announce the addition of legendary zydeco musician C.J.Chenier to Gator By The Bay’s 2016 musical lineup. C.J. Chenier is scheduled to play a special Gator By The Bay evening show on Thursday May 5, 2016, kicking off what promises to be the best year yet in Gator By The Bay’s 15-year history. 6:30 to 10:30 PM. CJ’s concert preceded by performances by Todd Wait’s Pigpen and The Palominos. If today’s fashion runways reveal the latest trends including hairstyles, was hair always so central to identity? Over the last several years, braiding, especially fishtail braids, have become internationally popular, but this trend is a surprising resurgence of an ancient practice. The Westgate Hotel’s afternoon tea, hosted in the Grand Lobby, is the perfect place to share family time. While relaxing to the melodious sounds of a harp, guests will indulge in a delightful array of delicious tea sandwiches and pastries as well as scones paired with traditional teas and a glass of champagne. Home-made macaroons will be offered as a giveaway to each mom to celebrate this special day. 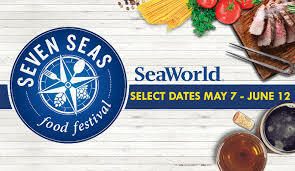 Explore and celebrate a world of flavor at SeaWorld’s Seven Seas Food Festival. At themed locations spread throughout the park, local craft beer and California wine are perfectly paired with fresh and bold culinary creations. The food choices vary from California cuisine to French fare, but they all have a few common traits: local, sustainable ingredients and unique signature flavors from around the world. Price: Included with park admission. Enjoy the unique blending of art and horticulture at our Bonsai Exhibition and Sale. 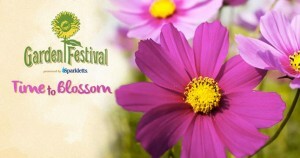 Join in a bouquet of activities and experiences for all ages, whether you have a green thumb or just wish you did! Discover the wealth of beautiful and fascinating plants at the Zoo, and connect with garden experts who can give you the dirt on all things botanical and horticultural. Spend the Saturday before Mother’s Day at San Diego Botanic Garden’s famous Chocolate Festival. Enjoy dozens of delectable chocolate tastings, demonstrations, a chocolate fountain, and more. This family-friendly event also features lots of children’s activities and a variety of Mother’s Day gifts. Tasting tickets will be sold on-site. Join us on the final day of our season for Mom’s special day. The stage will be filled with colorful dancing from the Rancho Buena Vista High School’s Ballet Folklorico. In addition, you can make your own mixed bouquets for only $5. Entertainment: 1:00 to 4:00 PM. Show Mom how much you appreciate her with The Del’s spectacular Mother’s Day champagne brunch buffet in the magnificent Crown Room, 9:00 AM to 4:00 PM, and in the ocean view Ballroom, 9:00 AM to 3:00 PM, on Sunday, May 8. The Abbey is Hornblower’s on-land venue; it offers a rare, refined uptown option for Mother’s Day. Originally constructed as an Episcopal church, this elegant 1910 landmark is San Diego’s only remaining Classic Revival structure. 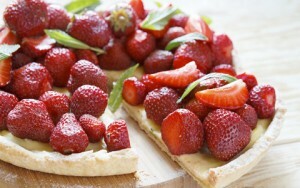 Enjoy an elaborate seasonal buffet, decadent desserts and live jazz entertainment. Each mother’s day please join us in California’s Crown Jewel of Coronado at the annual Historical Home Tour. This year the theme is “Coronado Homes by the Sea”. You are invited into six beautifully designed and appointed homes, each representing architectural styles of a life by the sea. Homes will be available for touring from 11am until 4pm. Tickets can be purchased at cornadohistory.org. It’s hard to believe that Rihanna is only 27 years old. Yet within the 9 years since the start of her musical career, she’s become the youngest solo artist to score 13 no. 1 singles on the Billboard hot 100 – the fastest to do so – she’s sold more than 54 million albums and 210 million tracks worldwide. In 1922, famed director William Desmond Taylor is found murdered in his home. The celebrity suspects mount as the headlines explode with lurid reports of love triangles, hush money and deception. Enter Will Hays, Hollywood’s newly appointed moral watchdog, determined to silence the scandal and purify this increasingly corrupt city. Based on the true story of Taylor’s unsolved murder,Hollywood is a noir thriller set in the Golden Age of movies by Tony Award winner Joe DiPietro. The Del will celebrate the 30th anniversary of the movie “Top Gun” with a fun tribute day in honor of our naval aviation neighbors on Friday, May 13. The day will consist of celebrated elements across the property with a charitable component, with the showing of the movie in the evening. Price: Prices will vary depending on activity. Dastan Ensemble & Salar Aghili in Concert. Come and enjoy the Persian Traditional Music. Calling all ballers! Put your hoops skills to the test at the Holiday Bowl’s 3-on-3 basketball tournament, Jack in the Box “Hoops at the Beach!” Enter your team in any of the various divisions, broken down according to skill level, height and age. Future Lebrons will be ballin’ so hard in the Elite Division, little ones just looking for that first bucket can enter the Youth Division and dads who opted against going pro but totally could have can enter the Masters Divisions. Join San Diego Children’s Discovery Museum for the KPBS Workshops featuring Sid the Science Kid. Learn about science of sound and be a part of our museum band. Special visit by a costume character. Workshop times: 10:15 AM and 11:15 AM. Celebrating 30 years of supporting our Military and their Families! This annual Navy-hosted event includes the public in raising money for the Navy’s Morale Welfare and Recreation (MWR) programs. MWR provides Quality of Life programs for our 500,000+ active duty and retired military, reservists, their family members and civilian employees who make up our San Diego Military Family. 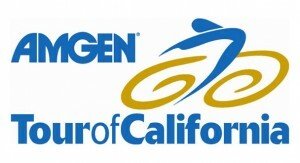 The first day of racing will begin and end in first-time host city San Diego, the birthplace of California and the state’s second largest city. A natural fit for the nation’s premier cycling race, San Diego features a vibrant beach-oriented community whose residents are passionate about living a healthy lifestyle. Discover the secret life of your favorite superheroes in the sprawling collection of international artworks that is My Hero. The artists in the exhibition both pay homage to these universal idols and present critical questions about their God-like stature as they reimagine and newly interpret iconic superhero imagery. Some spin the fantasy even further by imagining the hero as a child, as an aging being, and even as an animal. The variety of interpretations in My Hero is vast and challenging, dark and humorous, familiar yet new. Spend the day with your family and friends exploring the historic North Park neighborhood at the 20th Annual SDCCU Festival of Arts in North Park. This annual free festival has grown into a local tradition that includes amazing local art, exciting live music and dance performances, vendor booths and fabulous food. 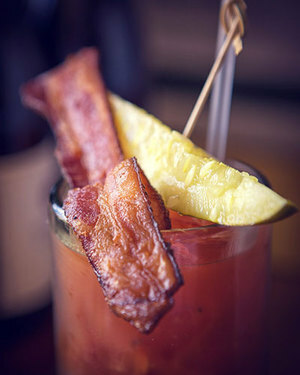 Bacon enthusiasts, rejoice! Everyone’s favorite strip of savory-goodness is making a big appearance in San Diego this May, and it’s time to reserve your tickets now. Kick off your summer and Explore UTC for our free kids summer concert series featuring Hullabaloo Band. On May 30th, Red, White and cruise! Get out on the Bay during the first days of the summer season. Enjoy lavish buffet featuring a savory selection of all your favorite dishes including free flowing beer and champagne.